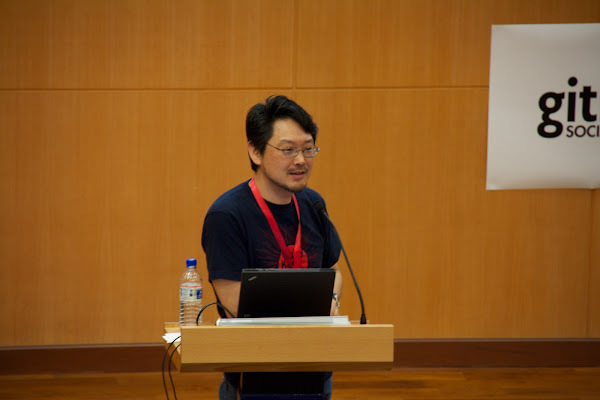 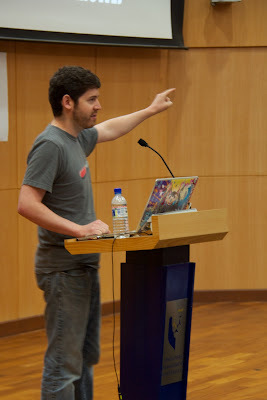 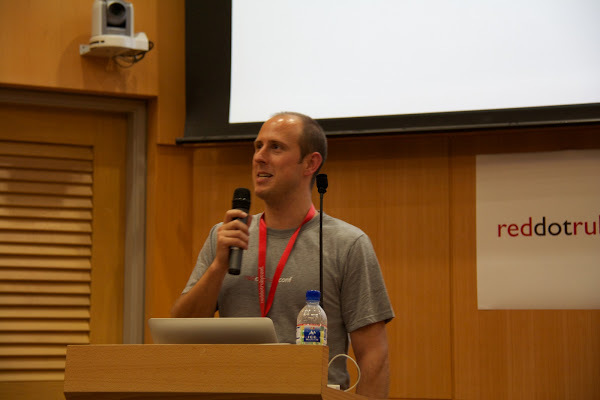 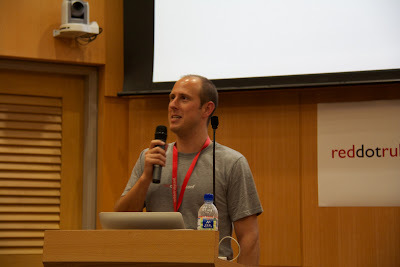 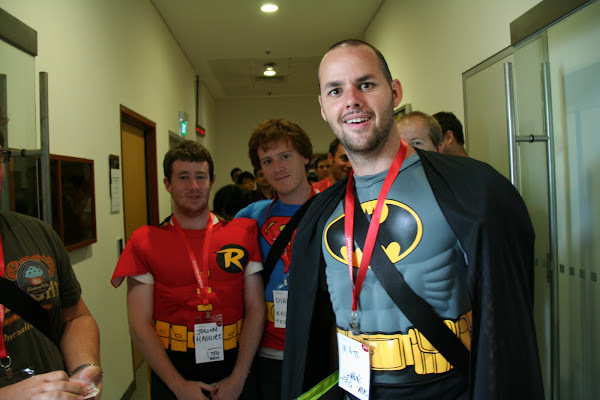 As part of my trip back to the US, I attended Red Dot Ruby Conf 2011 on April 22-23, 2011. 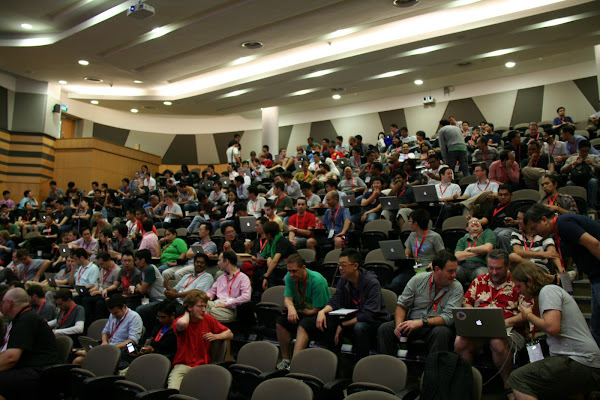 This event takes place in Singapore, at the Singapore Management University (SMU). 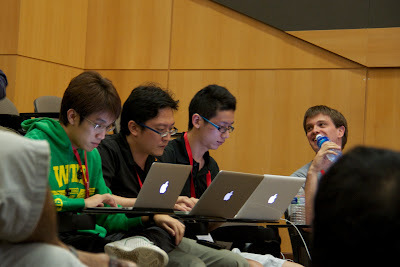 A more technical day with code examples, MongoDB, etc ending with a coding competition. 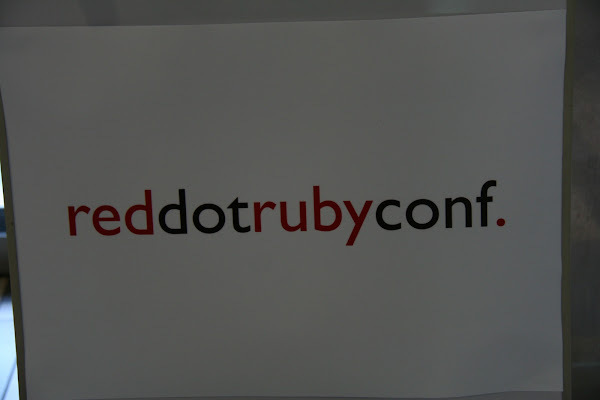 Everyone is hiring. 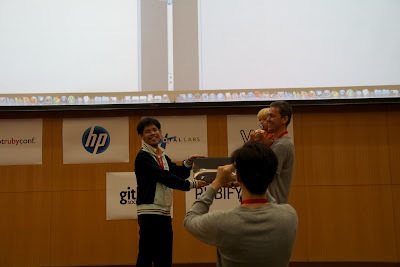 P1: "And who are you?" I’d say about ~250 people in attendance. We got Robin, Superman, and Batman! 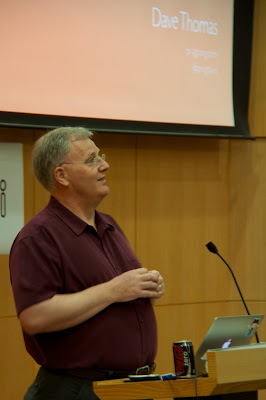 Dave Thomas (@pragdave) presenting on day two on how Singlish is similar to Ruby. 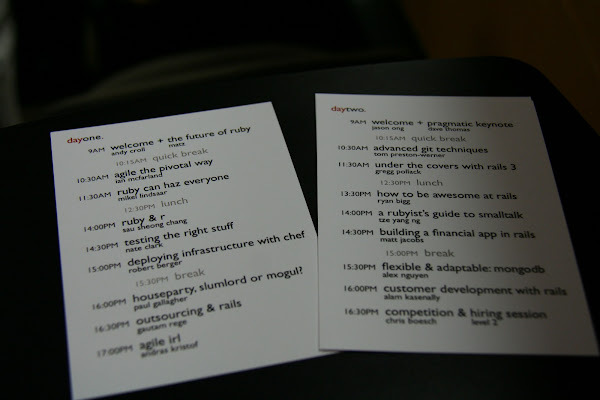 Easily my favorite talk of the conference. The winner of the coding competition walked out with a Macbook Air! 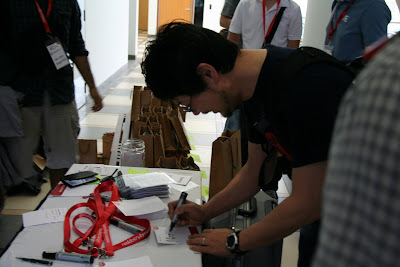 Donated by Viki. The after party was at Uluru, sponsored by Github. You can visit the full Picasa album here. 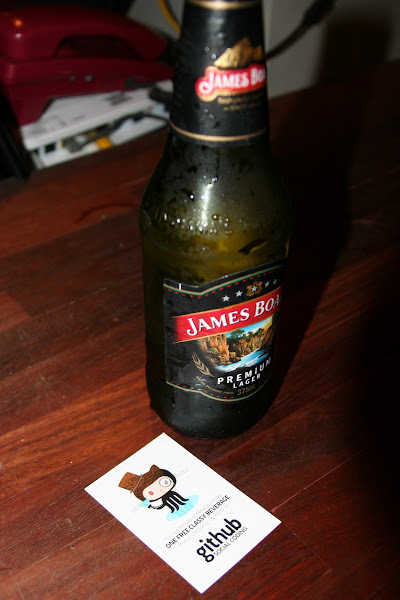 Sorry, I really prefer Picasa over Flickr. 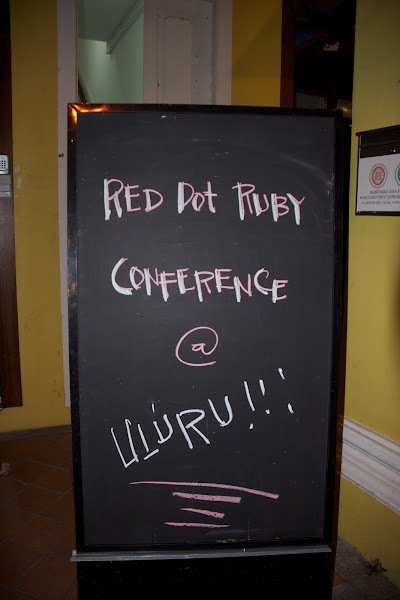 Sponsors of the event: HP Labs, Pivotal Labs, Github, Viki, and Rubify.